Many people bring their pets to AESCA because an allergy (also called hypersensitivity) is causing their pet significant discomfort. There are basically three types of allergies that commonly cause discomfort in pets: food allergy, atopic dermatitis (environmental allergy), and fleabite allergy. A fourth type - contact allergy - is less common and will be discussed briefly. What follows are answers to common questions that arise during an examination for possible allergies. How can something that is eaten cause skin problems and allergy symptoms in pets? Why is the skin affected by allergens that are inhaled or eaten? Why do some pets have allergies and others do not? What are the cells of the immune system that produce signs of allergy? What is the role of lymphocytes in allergy? 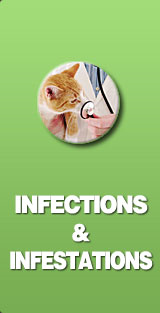 Food allergy is one of the three major allergies seen in dogs and cats. When we talk about an allergy to a food, we are not speaking about a particular brand of pet food, but about an individual food item or ingredient. Beef is probably still the most common food to which pets can be allergic. Other allergen examples are chicken, pork, wheat, corn, and even lamb. 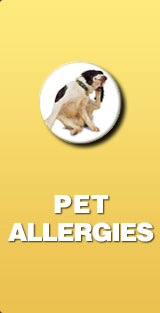 Even a small amount of a food allergen is important if the allergic pet is allergic to that particular food allergen. Think of someone who is allergic to peanuts. They would have a reaction if they ate peanut butter flavored chili, just as they would if they ate a peanut butter sandwich. Allergy to a food allergen is independent of the quality of the food. For example, someone allergic to beef would react to filet mignon just as readily as they would to ground chuck. A pet with a food allergy eats something that contains the offending food ingredient, which at this point can be called the offending food allergen. This offending food allergen is digested, and its molecules are taken into the body. Once in the body, cells of the immune system, which are responsible for allergy, react to these food molecules. The cells release chemicals (inflammatory mediators) that result in the signs of allergy that we see (itchiness of the skin and ears and increased susceptibility to infections). Food allergy can be diagnosed by performing a strict elimination diet trial, which can be performed by the pet owner at home. A special test food is fed for a period of time, usually 8 weeks. During the test period, the pet eats this food and no other. No bites of table food are allowed during the test period. An allergy to a food can be so strong that the slightest exposure to the offending food item can cause the signs of allergy to persist. Treats must be discontinued. Also, any plant or animal-origin products including rawhide, cow hooves, and pig’s ears are stopped. I know this sounds tough to do and it is difficult to deny that sweet face looking up at you for treats. 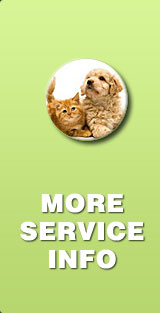 However, it really is for your pet’s benefit that the diet test be performed properly. I recommend temporarily getting all the treats out of the house, since your pet otherwise can smell them and still know they are there. You can put the test food in a special container and pretend it is a treat – some dogs will like this. If the test food comes in a canned version you can shape pieces of the wet version into bite size cookies and bake in the oven at low heat until no longer moist. Additionally, chewable vitamins, medications, such as chewable heartworm pills, are discontinued temporarily or replaced with non-flavored versions. A heartworm prevention that can be applied to the skin can be used to replace oral heartworm prevention. Within 4 to 5 weeks, the pet stops showing signs of allergy, although some pets may take as long as 8 weeks or more to improve. Giving the pet old foods or snacks for a few days will cause return of allergic signs. Reinstitution of the test diet results in resolution of allergic signs again, proving the diagnosis. Atopic dermatitis is a skin disease that results in significant redness and itchiness of the skin and often the ears, which often leads to skin and ear infections. 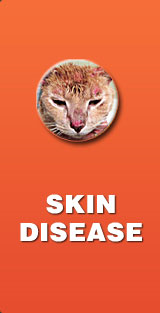 Pets with atopic dermatitis are thought to have a genetic susceptibility. The disease involves the production of excessive allergic antibody type E (also called Immunoglobulin E or IgE). Environmental allergens play the major role in pets with atopic dermatitis. However, some dogs with atopic dermatitis can also have food allergy. The offending environmental allergens are absorbed through the skin and/or inhaled. It is believed to be due to the tendency of the skin to have large numbers of the types of immune system cells involved with the production of allergic antibody E (IgE). Any allergen that makes its way (regardless of the route) to these cells will cause the cells to release the inflammatory mediators, resulting in signs of allergy. The tendency to develop allergies is thought to be genetic. There is convincing evidence that genes increase susceptibility to development of allergies in humans. The same is thought to be the case in animals. Environmental factors likely play a role, and examples include infection with internal parasites (worms) or viruses that occur early in life. It is believed that there are critical times in the maturation of the immune system where environmental factors may make a genetically susceptible individual develop allergic diseases. Whether a genetically susceptible pet develops allergy or not may be a matter of luck with regard to whether or not an environmental factors influence the immune system at a critical stage in development. The immune system can be thought of as a network of different cells that communicate instructions to each other. Lymphocytes are cells that directly or indirectly control most of the activities of other cells in the immune system. Whether or not an individual becomes allergic to something depends to a great extent on how the lymphocytes react to it. Lymphocytes are the cells that produce the primary "allergic" antibody, which is IgE. Another very important cell is the mast cell. Mast cells are found in any area of the body, but are present in higher numbers in areas of the body that are exposed to the environment such as the skin, lungs, digestive system, and eyes. Mast cells serve as a home for the IgE antibodies, which adhere to the surface of the mast cell. If the allergen(s) to which a pet is allergic comes in contact with this IgE, a reaction occurs in the mast cell. The mast cell releases chemicals (inflammatory mediators), and these chemicals then cause irritation to the surrounding body tissues, resulting in the signs of allergy, such as itchiness and redness. In the hierarchy of cells of the immune system, lymphocytes can be viewed as the primary directors or decision makers that directly or indirectly control the activity of the other cells. Lymphocytes can recognize whether a substance belongs in the body or not. In the case of allergens, the lymphocytes then decide whether to react to the allergen. It can ignore the allergen (which is desirable, since the allergen itself is not a real threat to the body), in which case, no allergy develops. The allergen eventually is expelled from whatever part of the body it invaded, such as the lungs, skin or GI tract, and life is good. Another way in which the lymphocyte may deal with the allergen is to treat it as a foreign invader that must be destroyed. To do this, the lymphocyte begins a series of steps that result in the production of the antibody IgE. IgE specifically targets the allergen that the lymphocyte encountered, whether that allergen was oak pollen or dust mites. 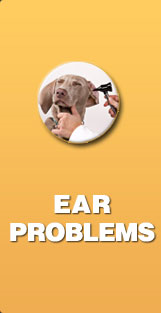 This type of allergy is less common in dogs and cats than in humans. The allergens produce lesions (abnormal changes, such as a rash) when they come in direct contact with the skin. Unlike other types of allergy, allergic antibodies such as IgE do not play a main role in production of the skin disease. Rather, it is the result of the activity of a specific subtype of lymphocyte. Skin lesions are limited to areas of direct contact with the offending allergen, which for dogs and cats, usually means the underside and paws. Plants of the Genus Tradescantia, which are often used as groundcover, are known contact sensitizers. Allergen: the term used for any substance - such as pollen, dust mites, molds - that can induce allergy in an individual. Antibody: a large complex molecule that is produced by certain lymphocytes of the body. Antibodies are designed to attach to substances that are foreign to the body, enabling the destruction or removal of these substances. Allergic Antibody: a type of antibody, principally IgE (“I - G – E”) that targets a specific allergen (e.g., dust mite). Erythema: the medical term used for increased redness of the skin. Immune System: a complex collection of cells, molecules, chemicals produced by the body, which most often prevents infections from taking over the body and to prevent abnormal cells (cancer) from proliferating. Unfortunately the immune system can also cause problems when it starts producing allergies in an individual. Inflammatory Mediators: the chemicals (also called cytokines) that cause signs of inflammation such as erythema, pruritus, or hives. They are produced by many different types of cells of the body, but especially by cells of the immune system. The most well known inflammatory mediator connected with allergy is histamine. However, there are many other cytokines involved with allergy and antihistamines will not be useful against these other cytokines. Lymphocytes: the cells that direct most of the activities of the immune system. Mast Cells: a type of cell present in large numbers in the skin and other areas of the body. These cells have the ability to produce large amounts of inflammatory mediators, probably the most potent cell with regard to ability to cause allergic symptoms. Pruritus: the medical term for sensation of itchiness resulting in a desire to scratch, rub, or lick. White Blood Cells: includes a variety of cells normally found in the blood. White cells leave the blood stream to fight infections, and can also induce symptoms of allergy in allergic individuals. Examples of white blood cells are neutrophils, eosinophils, and basophils.